A huge thank you goes out to the quartet members who delivered Singing Valentines Thursday. I don’t have the final count, but there were about 30 deliveries. I would also like to thank Bob Handley for coordinating the efforts during the day and to the Lindsays for opening their home and providing food for the quartets. We can accomplish GREAT THINGS when we work together! Tom Read had one delivered at our rehearsal. Ray, hope you are starting to feel better. 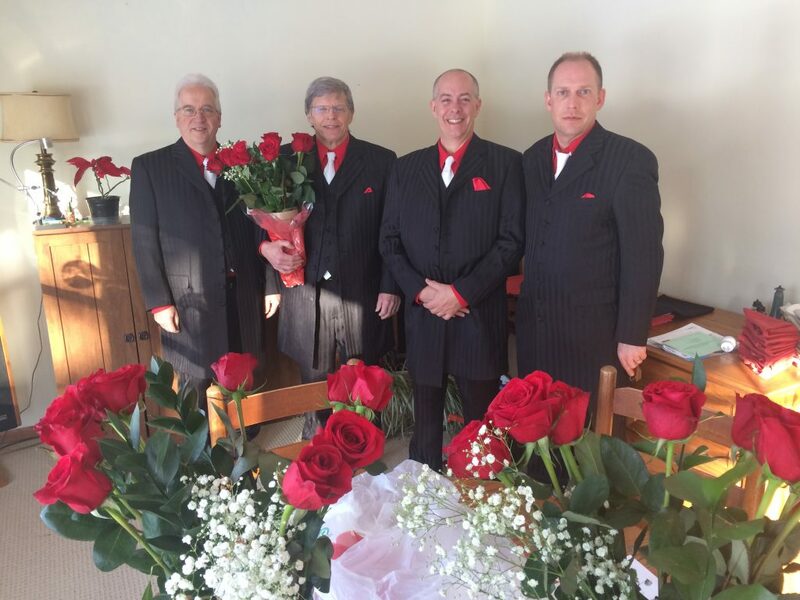 We got an update from your wife when the quintet delivered the Singing Valentine to Tom Read. Despite the challenges of having three consecutive chorus rehearsals cancelled due to dangerous weather, our Singing Valentines promotion was quite successful. Our accounting is not yet complete, but we delivered approximately 40 Valentines within a 25-mile radius of Cedar Rapids. Each recipient received a song, a rose, a greeting card and, if requested, a digital photo of the event. New this year was an option of telephone delivery. Bob Handley coordinated this year’s program. 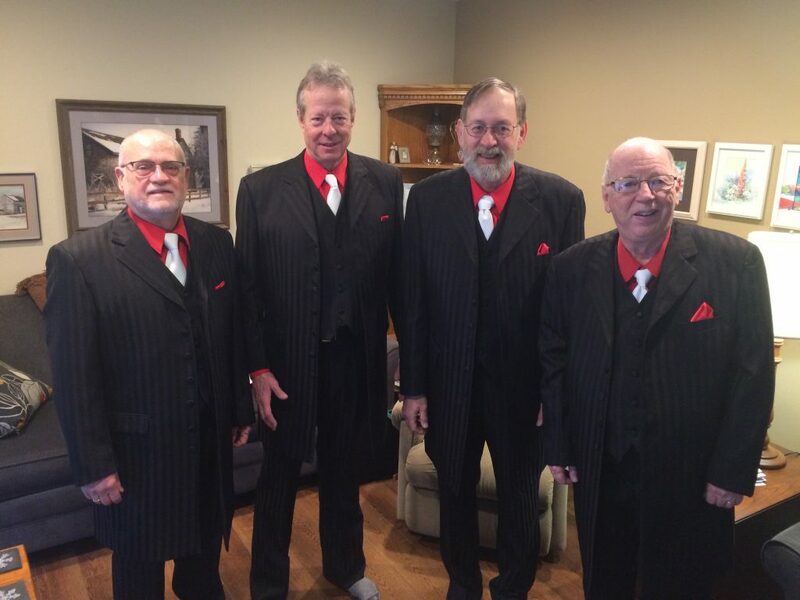 Timeless quartet, one of three delivering Singing Valentines last week, is composed of tenor Cal Birkey, lead Doug Horton, bass Jim Sjostrom, and baritone Cliff Newman. 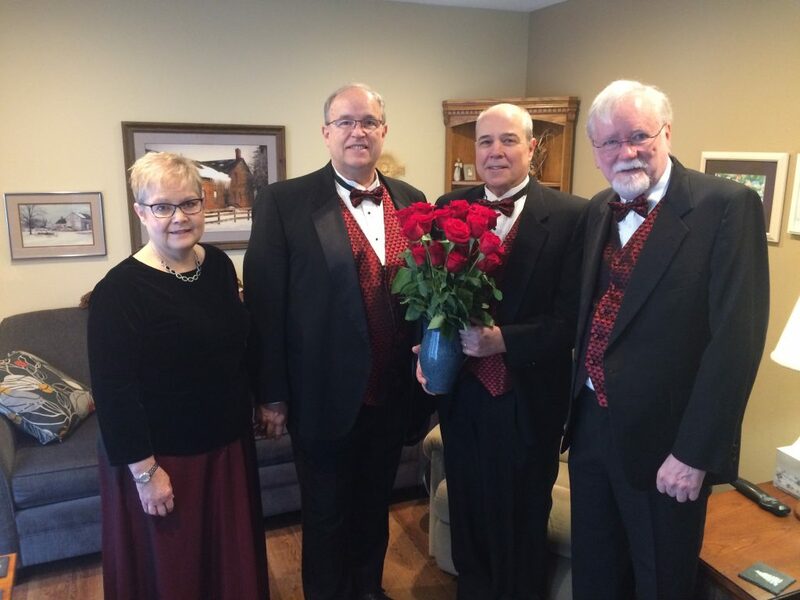 Profound Sound quartet, one of three delivering Singing Valentines last week, is composed of tenor Kristin Glockoff (stepping in for injured Ray Smith), lead Gary Glockoff, bass Duane Scott, and baritone Al Huneke. 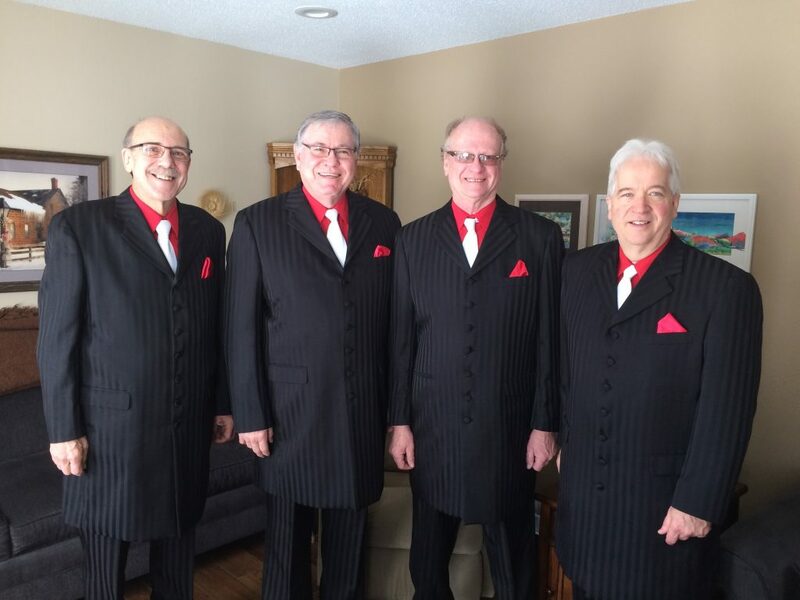 Fab 4 quartet, a novice quartet formed to deliver Singing Valentines last week, is composed of baritone Wendell Aldrich, bass Gary Lindsay, lead Jack Ray and tenor Larry Hlavacek. 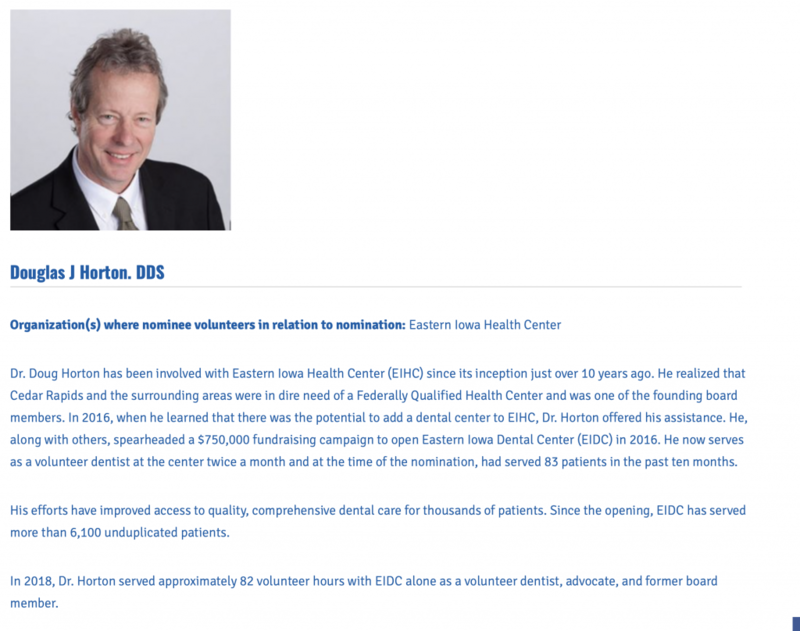 Doug Horton has been nominated for the United Way’s Volunteer Recognition program. Let’s support him with a vote on the United Way’s website. You can vote once a day through March 8.